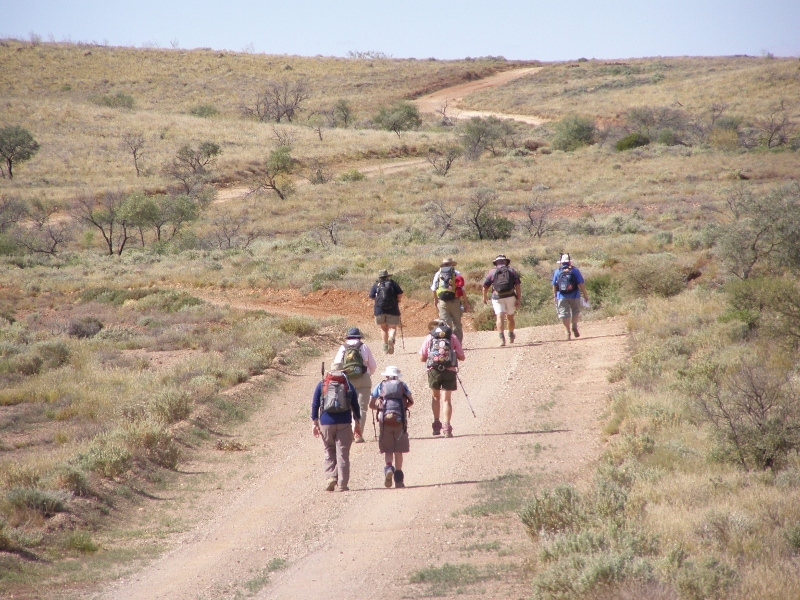 The second section of the Heysen Trail Extension of 129km was a great walk over picturesque, hilly countryside. For the first 5 walking days station tracks made for easy navigation and walking. 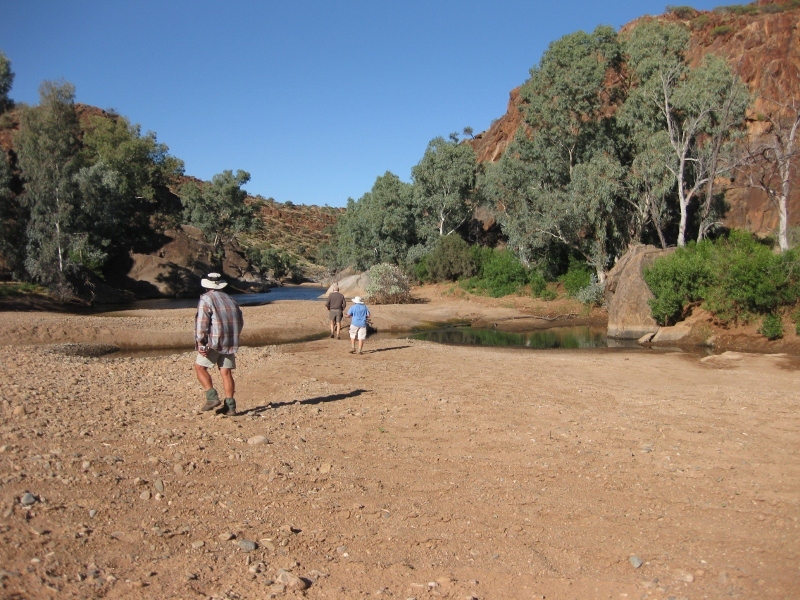 Warm weather, up to 30º, for the first 3 days but shady creekbeds made for great drink stops. 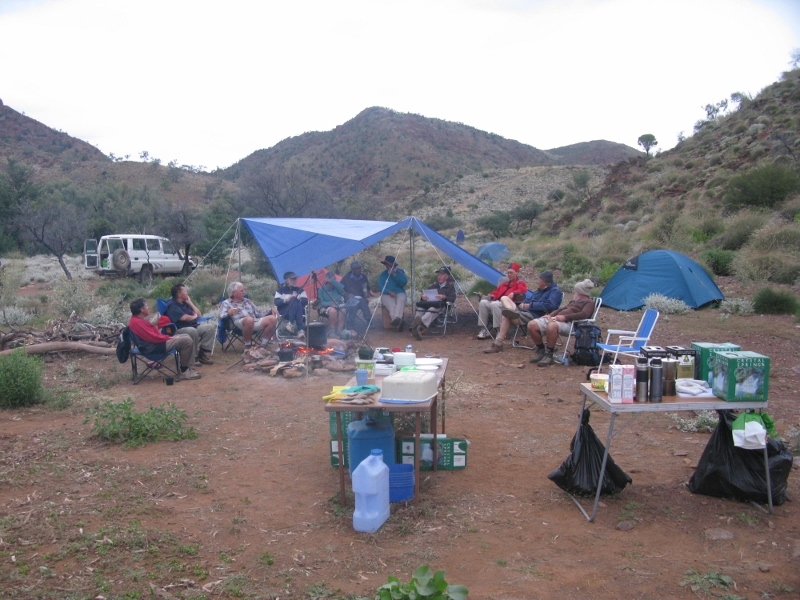 Rest day at Yudnamutana Gorge – beautiful scenery. Nev led a walk to Yudnamutana Mine and the Petalinka Waterfall in the morning and Milton and Doug led a walk to the second waterfall in the afternoon. Towards evening, it rained, but quickly Construction 2011 (a tarp on numerous poles) was set up, sheltering us all. 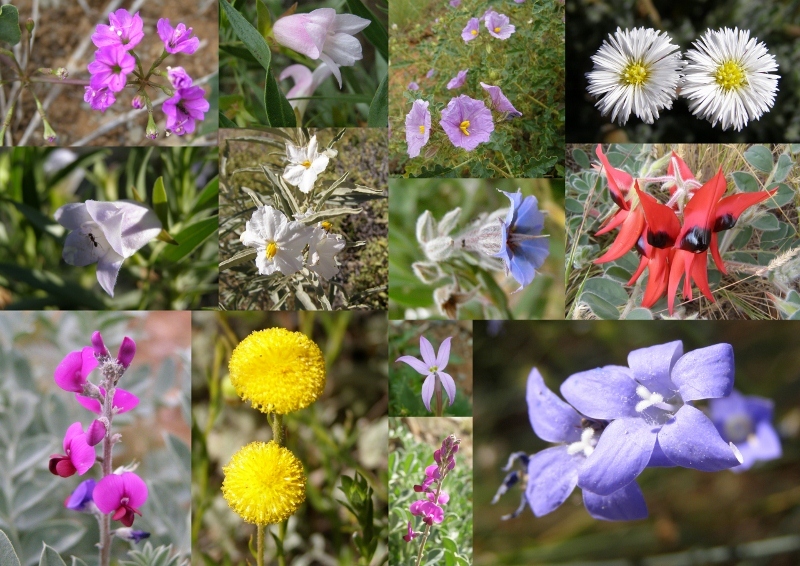 It was fine again on day 4 with spectacular scenery all the way, hills, cliff faces, flowers. Cool weather on day 5 was a long day for the walkers but had spectacular driving conditions for the 4WDs! 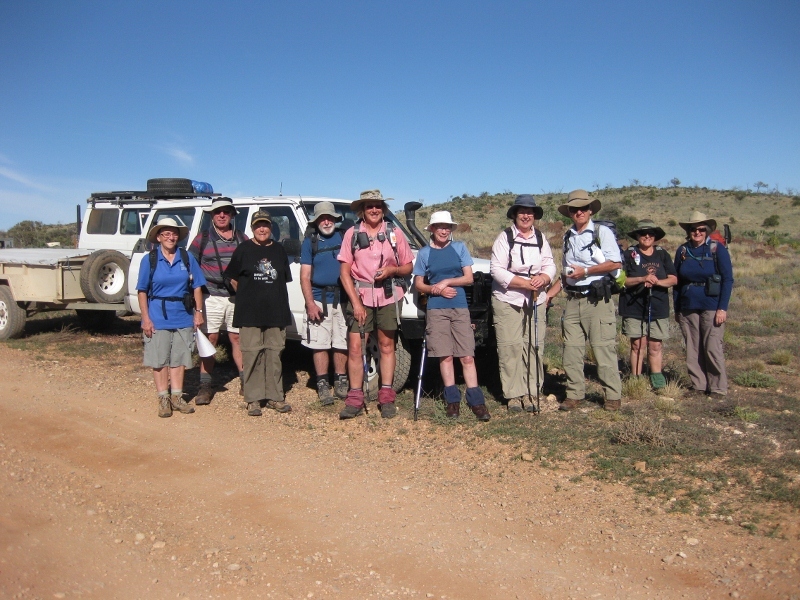 Then day 6, the final day, although only 20.7kms from Terrapinna Springs back to Mt Fitton where the camp was located, was the most challenging walking day of the whole trail. Gone were the station tracks, it was GPS and maps all the way. Steep hills, cliffs, sand, creek beds, bushbashing, it had the lot. A long day but the walkers were jubilant when they finally trudged back into camp. 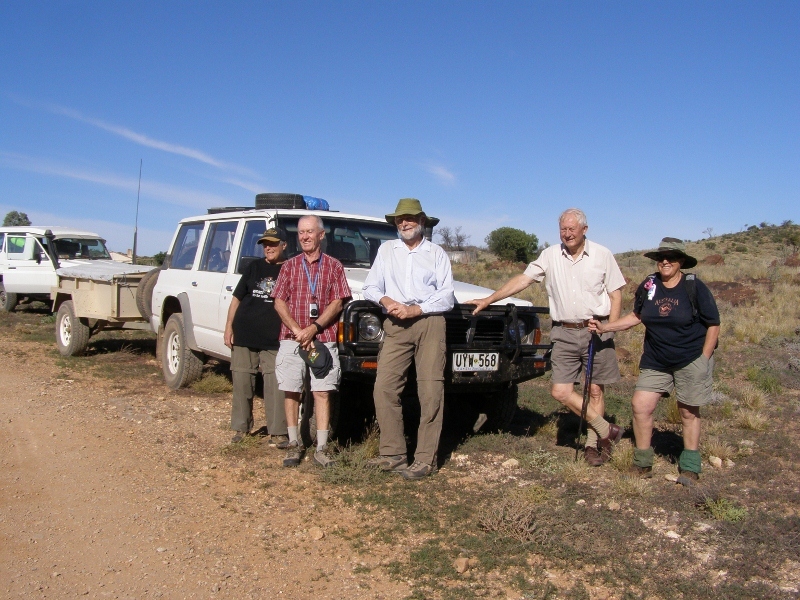 Thanks to the 4WD support team which provided transport for the walker’s food, water and camping gear.